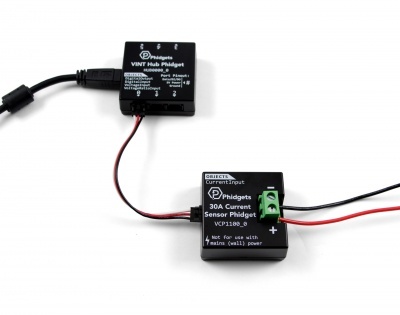 With the VCP1100, you can quickly and easily measure the current flow in an electronic circuit or device. Just put this current sensor in series with one of the power lines, and you'll be able to measure up to 30A of direct current. 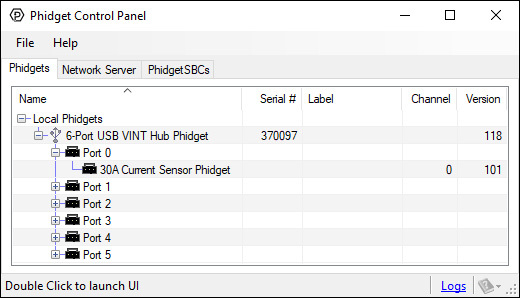 It connects to a port on a VINT Hub; you can find a list of hubs on the Connection & Compatibility tab. 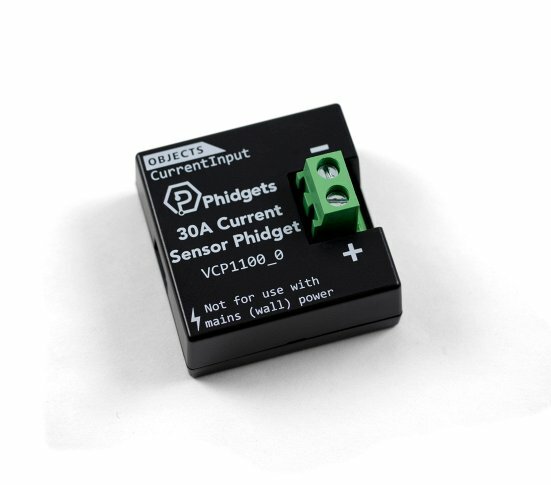 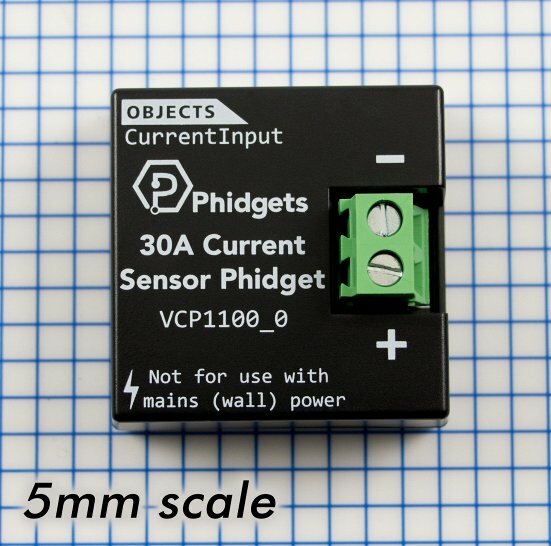 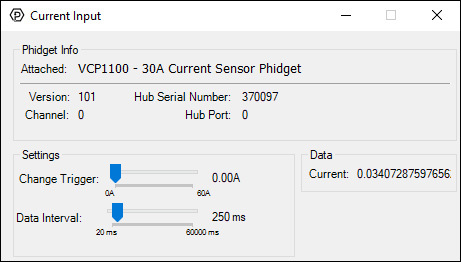 This Phidget is electrically isolated, so a power surge on the circuit you're measuring will not damage your VINT Hub or your computer. 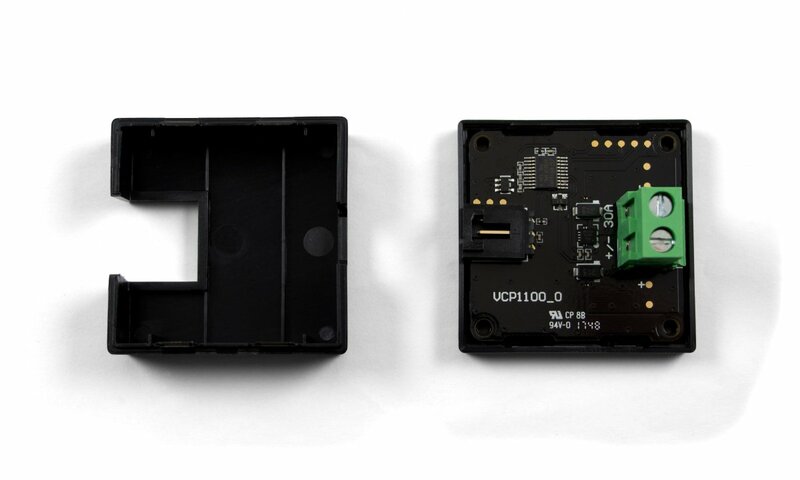 Isolation also improves stability by eliminiating potential ground loops.